Just a day after Jeff and MacKenzie Bezos announced that the terms of their divorce had been finalized, TMZ reports that the reported girlfriend of the Amazon CEO has filed for divorce from her husband. Divorce papers were filed Friday to end the marriage between Lauren Sanchez, a former TV anchor, and Patrick Whitesell, the co-CEO of Hollywood talent agency WME, according to TMZ. The couple, who was married for 13 years, reportedly asked for joint custody of the two children they have together. 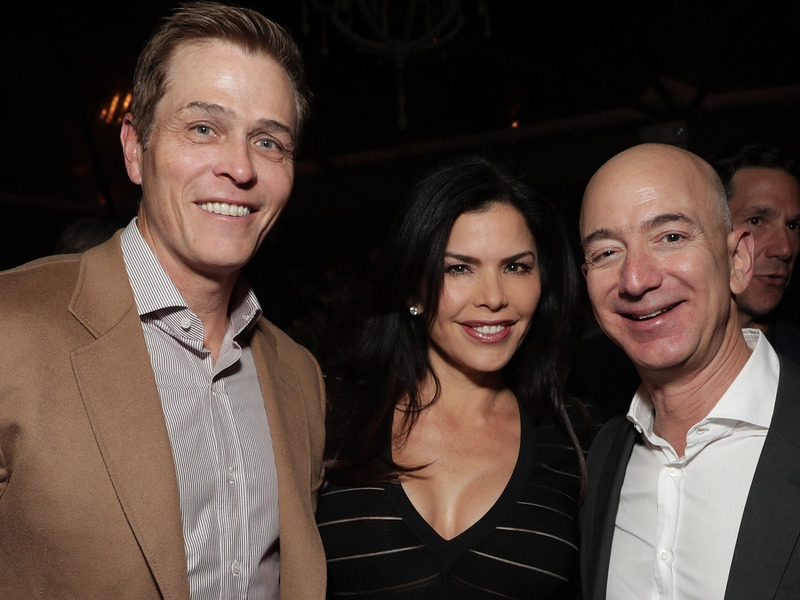 Lauren Sanchez became a well-known name after Jeff and MacKenzie Bezos first said they were getting divorced back in January. Hours after they announced the divorce, the National Enquirer reported that Jeff Bezos was dating Sanchez. In the months since Jeff and MacKenzie Bezos first announced they were splitting up, the affair between Jeff Bezos and Sanchez has been the subject of much scrutiny and news coverage. Bezos responded to the National Enquirer’s story on his alleged affair by launching a full-scale investigation into who leaked his personal texts to the tabloid paper. The investigation largely pinned the leak on Michael Sanchez, Lauren Sanchez’s brother. He acknowledged making a “deal with the devil” in cooperating with the National Enquirer, but said that deal didn’t include providing them with any texts or pictures. News of Sanchez’s divorce comes just a day after both Jeff and MacKenzie Bezos took to Twitter on Thursday to say they had “finished the process of dissolving” their marriage and would be co-parenting their four kids. As part of the divorce agreement, MacKenzie Bezos said she would give her Jeff Bezos 75% of the Amazon stock the couple owned, as well as voting control over the shares she’s keeping.